I promised to give details of smokeless coal at good prices. 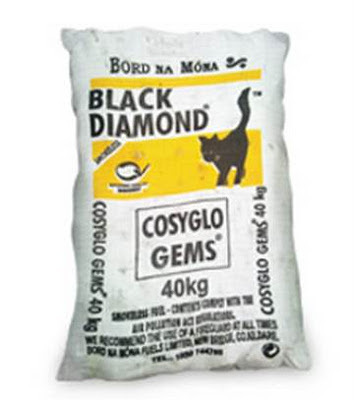 Ganly's of Athlone, Longford and Mountbellew are offering Born na Mona Cosyglo Gems at only €14.75 a 40Kg bag. The price is for 1 Tonne 1000Kg lots of 25 x 40Kg bags, and there is a delivery charge to be negotiated. Ganly's price for one bag is still very good at €15.95. They also have an excellent price for peat briquettes at only €3.19 per bale. Another item that they offer at a reasonable price is a stainless steel anti-downdraught cowl at €69.95. Let me know how you get on with these deals please.